Today we are highlighting the condo market in The North End area of Boston, MA in Suffolk County. This is the fourth of our 5 part series looking at parts of Boston, MA and showing that the general statement that the Boston housing market is red hot is not always true. There are many areas are still doing very well, however many others have slowed down and several are declining. The MYTH we want to dispel is that a blanket statement like “The Boston market is hot” is appropriate and that such general thinking can lead to poor decisions. Each market in and around the city needs to be evaluated on its own merits to understand how it is trending now. In the first 3 posts we looked at single family markets, today and in the final part tomorrow we will be looking at Condo markets since a large portion of the dwellings in the city of Boston are condominiums. Links to the rest of the articles added as soon as they are released: Part 1 – Boston, Part 2 – Hyde Park, Part 3 – West Roxbury and Part 5 – The Fenway (Condos). The condo market in Boston’s North End neighborhood appears to be down significantly since last year. The average listing prices and the average sale prices were both down a lot. Despite that the days on market were down a lot since last year, giving a surprising counter to the falling prices. Inventory was down slightly with 10 sales in May of 2014 and 8 in May 2015. First we are going to look at the average listing price. For North End Condos the average listing price in May 2014 was $786,590. This was down to $536,588 in May 2015. That gives a gigantic 31.78% decrease year over year. However this might be overstated since if we look at the medians we see listing prices of $612,500 and $547,450 for a much smaller drop off. In this case we see a still fairly significant 10.62% decrease year over year. Next we will look at the average sale prices. The average sale price for condos in Boston’s North End in May of 2014 was $766,900 and in May 2015 that was down to $540,500. That gives a slightly smaller 29.52% decrease. Not surprisingly if we take a look at the median sale prices as well we see a similar pattern as with the listing prices above. Median sale prices of for North End condos in 2014 were $611,500 and $553,000 in 2015. Using these numbers we again see a much smaller but still quite significant decrease of 9.57%. The final metric we are going to look at are the average days on market, which is the measure of how long it takes for a house to sell in the current market. For the North End the average days on market in May of 2014 were 105.80 and the average days on market for May 2015 dropped all the way to 40.38, for a very significant 61.83% decrease. This is a little surprising given the drops in prices. The North End, Massachusetts real estate market has fallen off quite a bit since last year. The large drops in both listing prices and in sale prices make this argument pretty clear. The very large decrease in days on market is a counterpoint to this observation though. However with fairly large decreases in prices it is safe to say the market is down since last year, but with things selling faster it can keep prices from falling to much very fast. In summary if you are looking to sell a condo in Boston’s North End neighborhood right now you should expect to get much less than you would have last year. However you should expect it to sell in a shorter time compared to last year if you have it priced right. Join us tomorrow for Part 5 – The Fenway (Condos) and final post of this series when we will look at another condo market in the city. 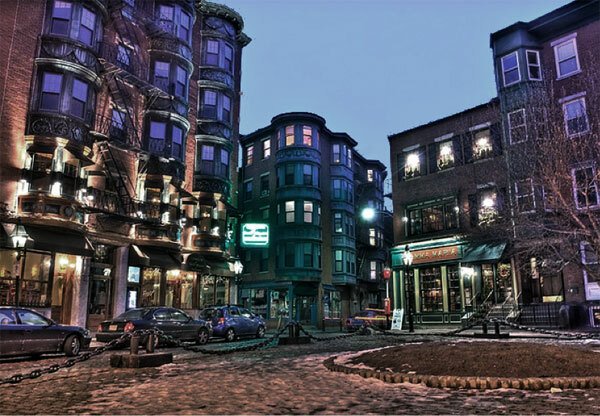 Do you need to sell your North End neighborhood of Boston, Massachusetts condo fast? If you would like to sell your home fast and hassle free schedule a consultation with us today.